The garden is changing now but is having a last hurrah before Autumn really gets going. Rose Frilly Cuff is flowering again. 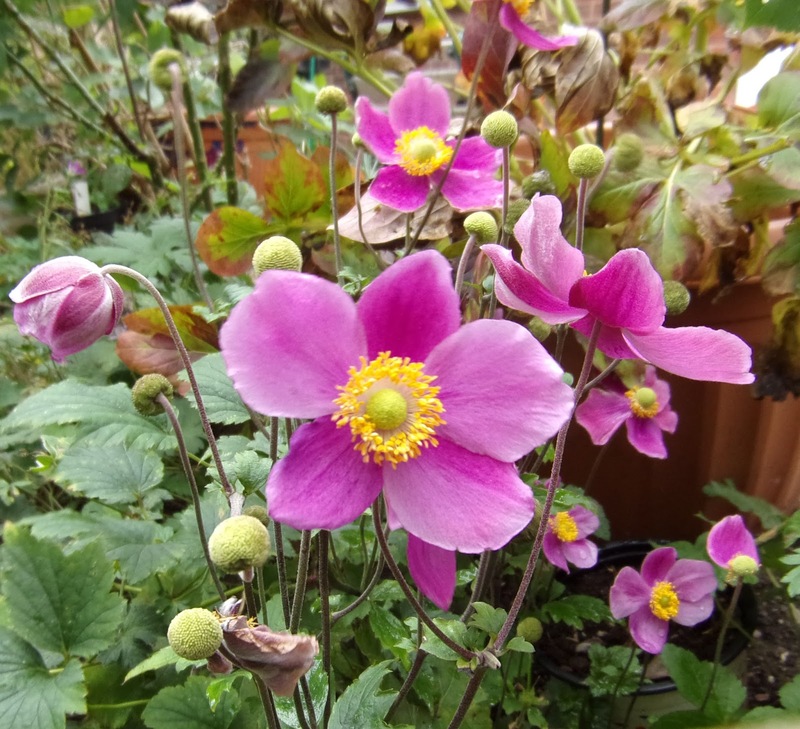 This small and dainty Japanese anemone Bowles' Pink has been in flower for weeks. Rose Ferdinand Pichard is also flowering again - the first time he has repeat flowered. 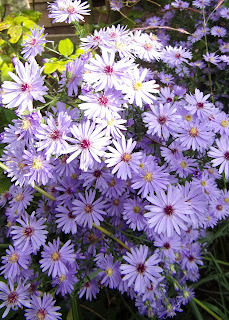 Aster September Ruby (I think) is almost fluorescent and does not want to be ignored. 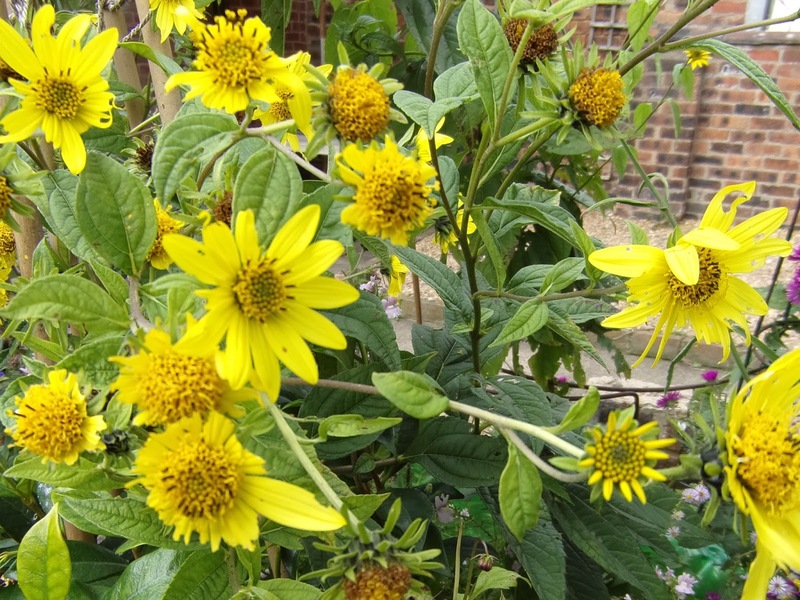 Helianthus Lemon Queen is adding a bright sunshine yellow. 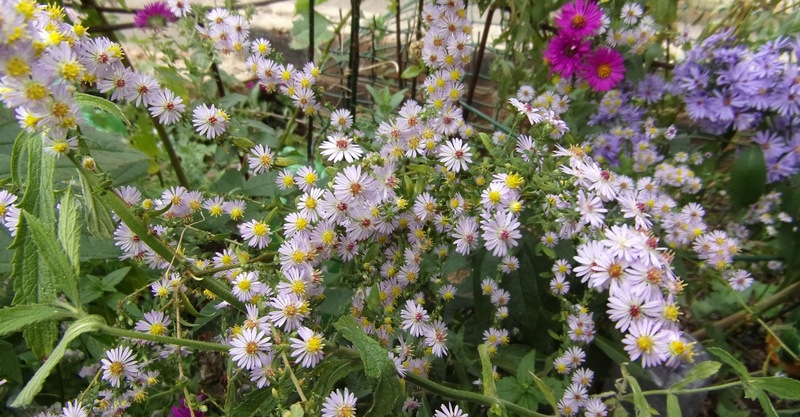 Aster Ericoides has delicate, small pale lilac flowers which are loved by bees. A miscanthus adds an elegant stateliness and moved beautifully in the wind. Aster Little Carlow is reliable and lovely. 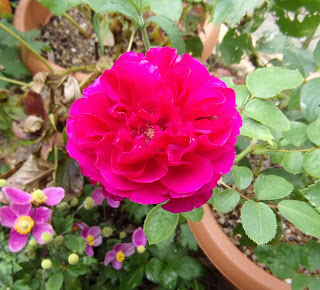 Once the flowers have been visited by the bees, the centre turns red. 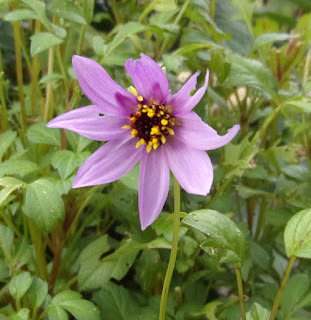 Dahlia Merkii, looking a bit bedraggled. 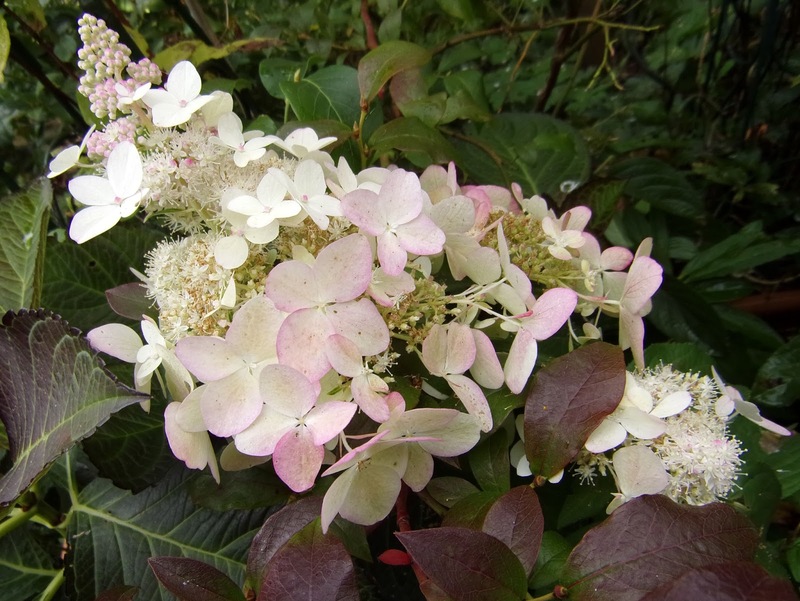 Hydrangea Confetti, which was a new plant this year and has done really well. Cyclamen Hederifolium with beautiful marbled leaves. An unnamed fuchsia which has flowered non-stop all summer and is still going strong. 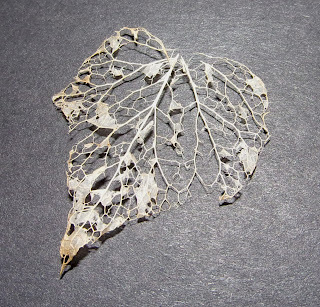 I found this skeletonised leaf which had got caught on a box bush and thought it was beautiful. 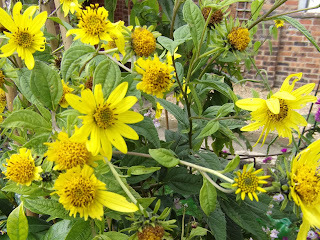 There is still lots to enjoy in the garden. Love your garden. 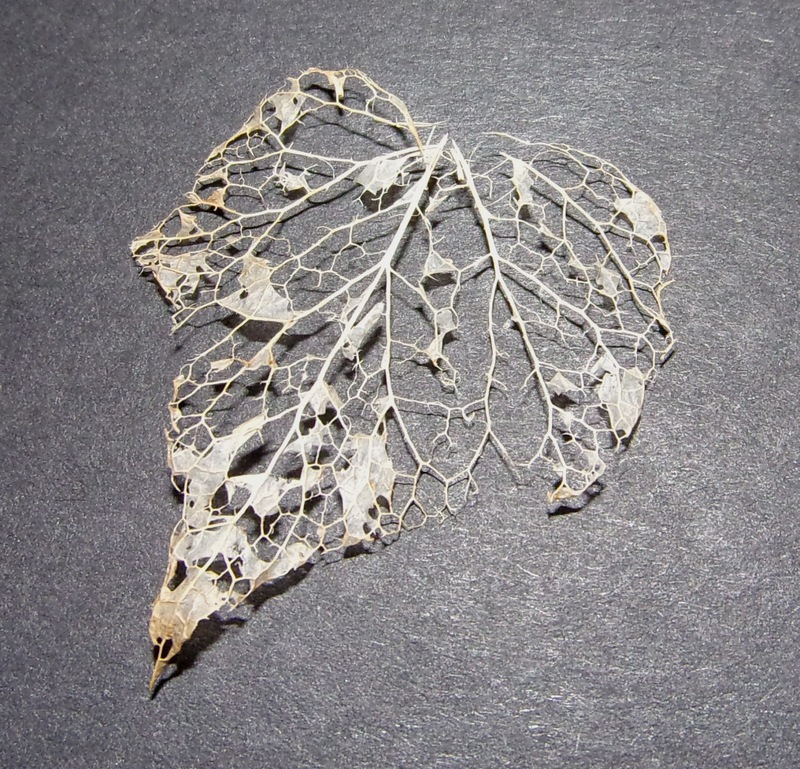 And the skeleton leaf is stunning. Sigh on the builder front. They do that here too, and it does my head in. Thanks, EC. 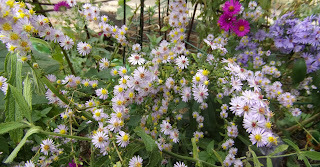 I love my little garden too, despite all of its various problems...The plants more than make up for them. Sigh indeed - I wish the builder would just answer our email, even if it was to say, "no, sorry, can't do it", as at least we'd know. Grr! 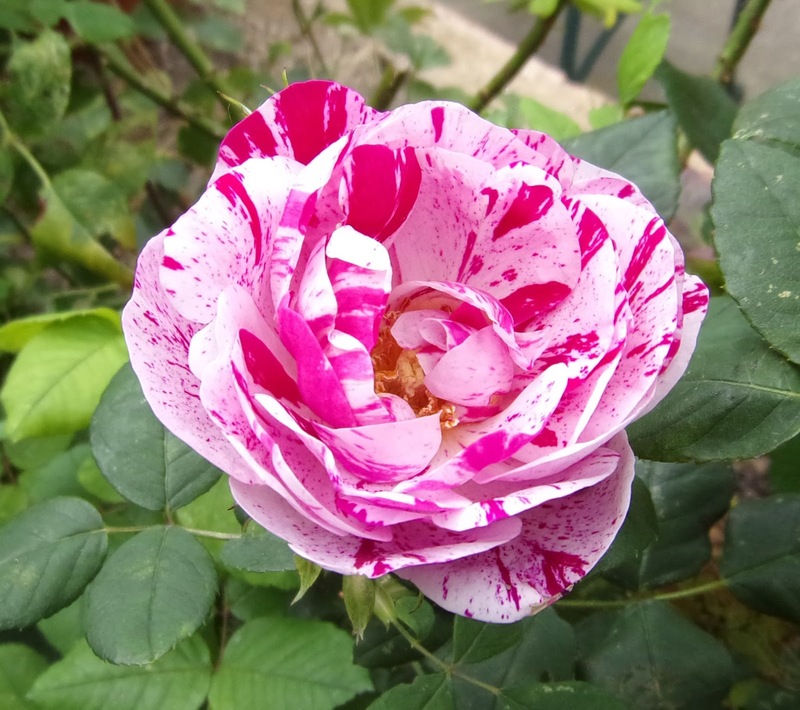 Thanks, Summer and welcome. 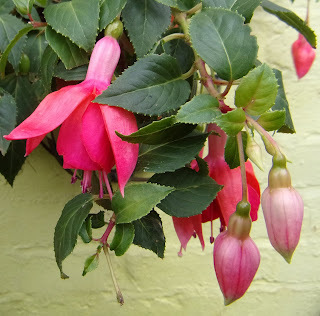 I am lucky to have lots of flowers to enjoy at this time of year. 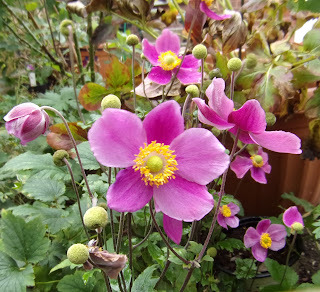 I have just been planting some Spring bulbs, for some early colour too.